Storyboarding is a graphic or visual process of detailing the main actions and settings in a video, shot by a shot, before the recording process takes place. A storyboard shows how a video evolves from beginning to end and for each shot or segment, includes ideas for setting, characters, design, narration/script, and shot selection. 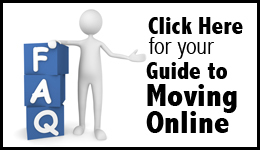 In a nutshell, it’s an essential tool to prepare for success in your video production process. 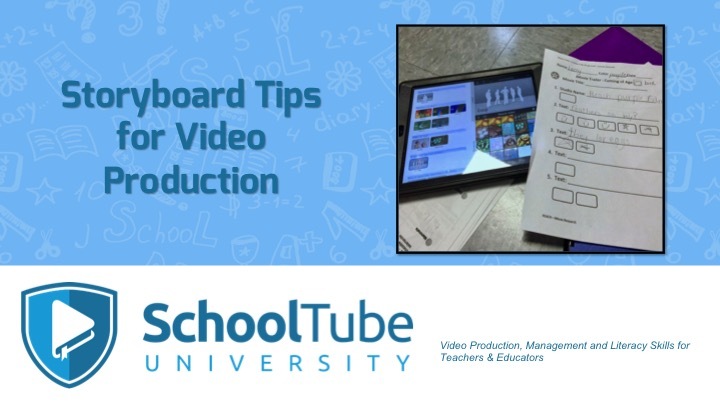 I have had the pleasure of partnering with SchoolTube University to produce a series of free webinars in order to help educators and students improve their video productions. Recently, SchoolTube.com released their latest article which goes in-depth about the purposes and positive effects of creating a storyboard. Click here to read the full SchoolTube article, “Storyboarding Tips for Better Student Video Productions.” The article also includes a link to my short webinar (it’s free to enroll with just an email) where I share ideas, images, and a student video example about the how to successfully implement storyboards in your video creations. Here’s a blank storyboard to get you started. For more information about other webinars and video production techniques, visit my Webinars or Broadcast Curriculum pages on my site DonGoble.com. And follow me on Twitter @dgoble2001.